Sorry that I’ve been MIA on this blog for a few days. It’s been a different kind of week for me. I’m filling in for a secretary who is on vacation. So, work life has been a little busier than normal. If ever there was a week to use a virtual day at Disneyland, this is that week for me. Sometimes I wish I could live there (and have that money tree that would allow me to do so). Anyways, today, let’s visit Fantasyland at Disneyland. Back in the day, it was fun to travel between Tomorrowland and Fantasyland using the sky buckets! In 1994, Disneyland took this attraction away. My recollection of the reason why involves a string of injuries from people doing stupid things while on this attraction and suing Disney. When I was a kid, I will own up to doing silly things like dropping ice from above and seeing where it would land. Oh, the dumb things we do as kids. Still, the sky buckets were a different way of going between Tomorrowland and Fantasyland. Sadly, they are no longer there. So, we’d have to walk. I’m not sure if this attraction qualifies as Fantasyland or Tomorrowland as it kind of lies in between. As you will see in the video, the Matterhorn has two different ways of going. So, if this is your first visit to Disneyland, make sure to go both ways. Of course the differences are minor. However, this is an attraction that is located nowhere else but Disneyland in California. So, you Walt Disney World fans who love roller coasters must ride this attraction. They recently re-designed the bobsleds and took away some of the fun that teenagers loved. No longer can you ride with two to a seat. The previous version of these bobsleds allowed for two people to be in one seat. The current bobsleds hold the same amount of people, they’ve just doubled up on the seats so each person has their own. I’ve heard complaints from many people about how hard the seats are. So, if you ride, understand that the seats are not the most comfortable. Continuing around from Tomorrowland towards the heart of Fantasyland, you’ll next come to the Alice in Wonderland dark ride. Unfortunately, this attraction is closed as Disney seeks to redo the attraction to meet with safety standards. Do you see the rails on the outside part of this attraction? Those were added a couple of years ago when the safety board in California shut the ride down with safety concerns. So, Disney put up these rails. However, no one really likes how they look and now Disney is working to make this all work better. So, if you’re coming out for the Disneyland Half Marathon this year, you will most likely not be able to ride. On a virtual tour of Disneyland, however, we can ride it all day and night long! Right next to Alice in Wonderland is the Mad Hatter’s Tea Party spinning tea cups. This is my wife’s favorite ride at Disneyland. I can’t do spinning rides because they make me sick. However, she’ll hop on and I’ll stand outside taking pictures. If you’ve been on this ride at the Magic Kingdom, you’ll notice that the Disneyland version has no canopy over it. Otherwise, it’s the same thing. Continuing around towards Sleeping Beauty’s Castle, you come to Mr. Toad’s Wild Ride. I’ve been told that this attraction used to also be found at the Magic Kingdom. So, if you liked it back when it was there and have missed it, enjoy! Next up is my favorite Fantasyland attraction…Peter Pan’s Flight. The wait times can get pretty long for this attraction. If you find the wait time under 40 minutes and are in the park, you should hop in line because it’s a rarity. Fortunately, on a virtual trip, there is no line at all! I like this video with the night vision because you can see more of this attraction than regular filming captures. I’ve watched lots of different videos from this attraction and am pretty pleased with this video. The Sleeping Beauty Castle walk-through is one of those hidden gems of Disneyland. It’s not anything thrill seeking spectacular. However, I think this is something that shouldn’t be missed. Especially for any Disney lover. You will not find this at Walt Disney World. What I like is that it’s something that you can go at your own pace. You can stop at each part of the story and read everything. Or you can just glance at everything as you walk by. Keep in mind, though, that the walkway is very narrow at some points and is never really that wide. Located just outside of Fantasyland is the Fantasy Fair Village. If you’re approaching Fantasyland from Main Street U.S.A., it will be off to the left side. This video does a pretty good job at capturing this newly themed area. There’s a food cart (as you will see in the video) that sells a few tasty treats. The Boysen Apple Freeze, from what I’ve heard is basically LeFou’s Brew (from Gaston’s Tavern in the New Fantasyland at the Magic Kingdom). This area used to house a band stand where many famous people have performed. More recently, they had swing music every Saturday evening. Those who were regulars were upset when Disney announced the change to this area. However, even though it looks different, they did bring the swing dancing back on Saturday evenings. So, if you like to swing dance or just listen to some good swing music and are in Disneyland on a Saturday evening, head on back check out this area. There are locals who have annual passes to Disneyland just so they can come and swing dance on Saturdays. During the day, this band stand houses two shows for the kids. The first is the Beauty and the Beast show. The second is the Tangled/Rapunzel show. These small shows are quite fun for the families. The other thing you can do in the Fantasy Faire is meet Disney princesses. They’ve moved the Disney princess meet-n-greets around. It seems like the Fantasy Faire was built specifically to give the meet-n-greet a more permanent home. You should know that Anna and Elsa from Frozen have their own meet-n-greet in Fantasyland. So, you won’t find them here. Okay, this video goes the opposite direction from our tour. However, if you venture back into Fantasyland, you’ll come across the Bibbidi Bobbidi Boutique where your little princesses can get all princessed up. It kind of looks like you might want to go here with your little princesses before heading to the Fantasy Faire to meet their favorite Disney princess. Continuing back around Fantasyland is the next attraction…Snow White’s Scary Adventure. While this ride is rather tame in the scheme of thrill rides, the imagery in the ride might cause some of your really little ones to be scared. This ride focusses on the scarier parts of Snow White and the Seven Dwarfs. So, it’s a ride that lives up to its name. Keep that in mind if you have small children. Next to Snow White’s Scary Adventure is Pinocchio’s Daring Journey. This is another classic Disney dark ride. The wait times for both Snow White’s Scary Adventure and Pinocchio’s Daring Journey should be small (think 5-15 minutes). If it’s anything more than this, wait. Who needs to wait in long lines to meet Anna and Elsa from Frozen? On a virtual tour of Disneyland, there are NO LINES! I’m not sure how crazy the lines get at Disneyland. But, here on the virtual tour there aren’t any! Want to eat in Fantasyland? Well, next to the Anna and Elsa meet and greet is the Village Haus. The video above will make you feel like you’re there! This is a counter service restaurant. It’s not great, not bad either. If you’re looking for a quick meal at Disneyland, this place isn’t too bad. My wife and I ate dinner there a few weeks ago and had the turkey sausage. Again, not great, not bad either. I do love the theming of the restaurant, though. Okay, we don’t have the dueling Dumbo’s like they do in the new Fantasyland at the Magic Kingdom. This is another classic attraction that I believe was open the very first day of Disneyland. Although there have been alterations over the years, it’s still a classic. If you’re coming out for the Dumbo Double Dare at the Disneyland Half Marathon Weekend, you should grab a picture of yourself on Dumbo with your Dumbo Double Dare medal. Behind Dumbo is the Casey Jr. Circus Train. This attraction takes you around with some nice views of Fantasyland. It’s not a thrill ride for sure. This one is for families. Although, keep in mind that the space to sit is rather tight if you’re tall like me. I fit in the train when my wife and I went on this with our nephew last year. There are a few different kinds of cars to sit in. So, if you’re on the taller side, you might want to avoid the enclosed cars. The Storybook Land Canal Boats is a fun little attraction. It’s fun to see all the little versions of some of the great Disney Animation movies. I have noticed that this attraction is down quite a bit. So, it may not always be running. At Christmastime, they even add some special holiday touches. As you continue back towards It’s A Small World, you’ll come to the Fantasyland Theatre. Last summer, they opened a new show entitled Mickey and the Magical Map. Brooke and I finally got to see this show in person when we went to Disneyland a few weeks ago. Such a fun show! It’s a show dripping of the Disney magic we all enjoy! Personally, I love that they have a live trumpet player for two of the songs. For a good seat, you will have to arrive early. I was surprised how many people were already waiting for the next show during the last part of the show that preceded it. Brooke and I arrived a little late for one of the shows and decided to watch from the standing area. I had thought about going elsewhere and coming back. However, we saw there was already a line for the next show. So, we waited and got our spot in line. As you can see, the show is over 20 minutes long. It’s amazing to me that, after the Snow White show in 2006, it took until 2013 to replace the show with another. Instead, they had the Disney princess meet and greet in this location. I’m so glad to see a show running in this theatre once again. At the far end of Fantasyland is It’s A Small World. No offense to you Disney World fans out there. However, the Disneyland version of this attraction is superior in every way. We have a grander façade, a longer ride, and Disney characters inside the ride. The holiday version of this attraction is a must see attraction. I absolutely recommend taking this attraction in at night-time if you’re going while the holiday overlay is on. Folks coming out for the Avengers Super Heroes Half Marathon might get to experience this attraction with its holiday overlay. For the Star Wars Half Marathon Weekend, I’m confident that it will still be up and going. If you’re at Disneyland for several days, you might want to experience the fireworks from Fantasyland. This is the video I took from Fantasyland after the Candlelight Processional this past Christmastime. It’s a little different experience with the same fireworks. They typically shut down Fantasyland about an hour or so before the fireworks go off. However, the pathway leading to It’s A Small World is open and you can view the fireworks from there. So, maybe one night you watch the fireworks on Main Street U.S.A. and the next you view them from Fantasyland. The thing about watching the fireworks from Fantasyland is that you don’t have to line up nearly as early. The two times I’ve done it, it looked like most people didn’t even know you could see the fireworks from there. So, they just stopped and watched from where they were. I wanted to get this information out to you before you could even make that first advanced dining reservation at Disneyland for the weekend. Unlike Walt Disney World, the Disneyland Resort will not allow you to make your advanced dining reservations more than 60 days before your trip. So, you’ll have your information in plenty of time. Plus, unlike Walt Disney World, I can’t think of very many places (if any) where it is crucial to make your reservation that far in advanced. However, some of you are advanced planners and want it all down as soon as you can get it. So, next week is for you. Also, in August, when the 12.5 mile training run is scheduled, I will be reprising the Disneyland Half Marathon dress rehearsal from last year and will have plenty of visuals to help you know your Disneyland Half Marathon race course. When I was in the Disneyland Resort theme parks, I got lots of pictures from along the race route inside the parks. In August, I’ll capture pics from the streets of Anaheim and throw in the pictures I have of the part of the course that goes inside of Angels Stadium. (FYI, when I sang on Good Morning America with the Disney Employee Choir, a cast member who works with runDisney for the races at Disneyland assured me that they were planning on running through the stadium even though the Angels have an afternoon game.) 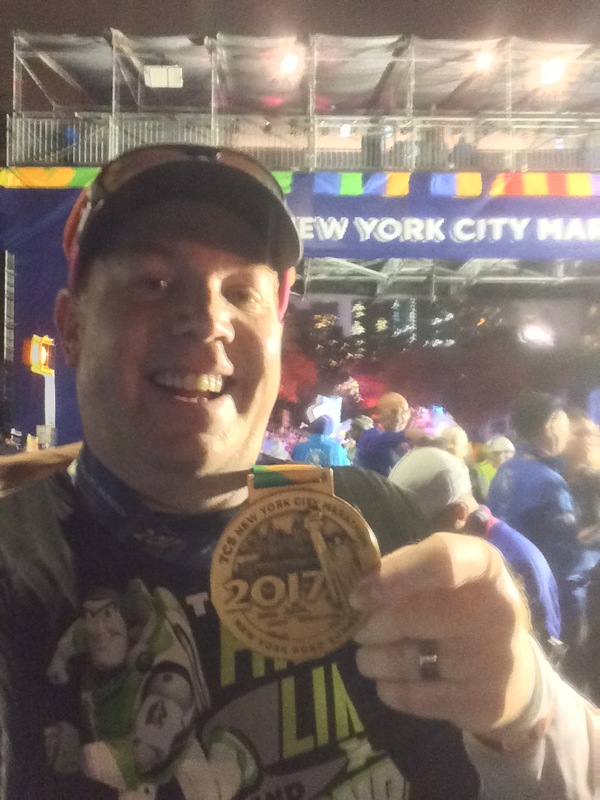 If there is anything that you want to know about the Disneyland Half Marathon course, let me know either in the comments section below or by emailing me at whyirundisney@gmail.com. I’d love to help you out if I can. Thanks for another great installment! I feel like I’m already there! Can’t wait to come out for the Disneyland Half in August. Speaking of that, will you do us a virtual tour of SD, LA, & SF as well while you are at it! LoL! Thanks! Writing these Virtual trips makes me feel like I’m there as well! Virtual trips to San Diego, Los Angeles, and San Francisco? Not gonna happen. LOL!